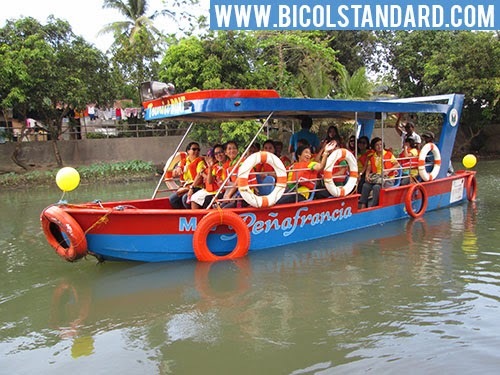 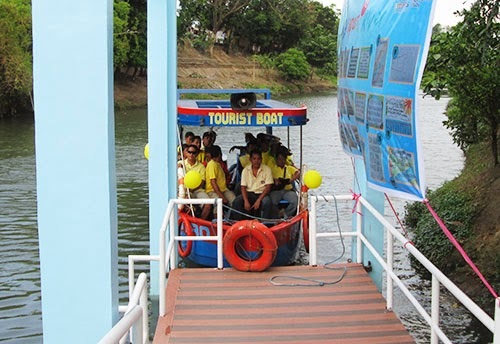 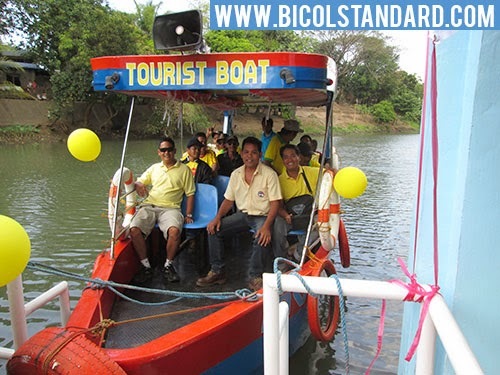 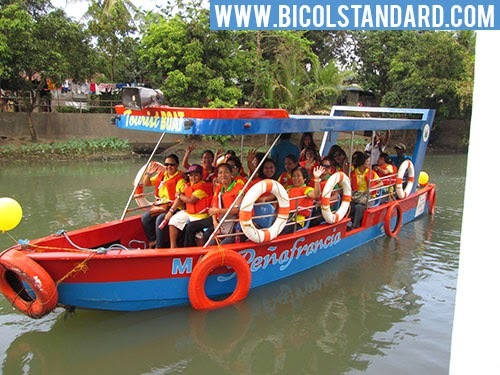 Barangay officials go on a ceremonial ride aboard the new tourist boat in Naga City. 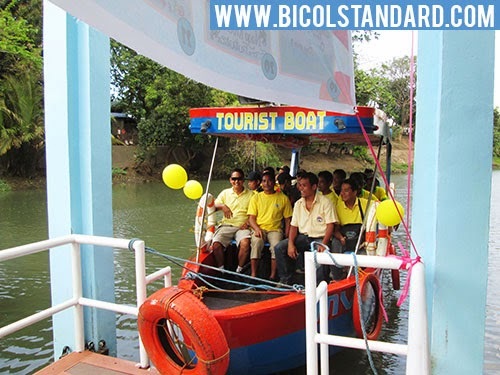 The boat ride is part of the activities organized by the local government in celebration of the first Naga River Day. 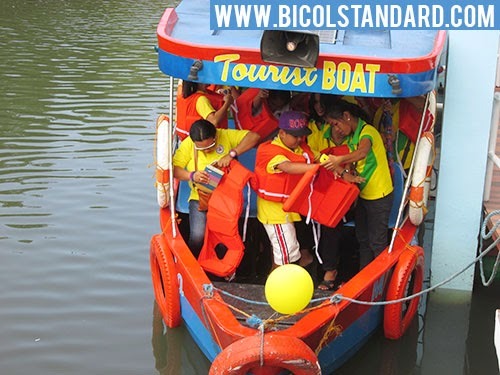 The other activities today include the inauguration of the danlugan pillars, the Iraya/Ilawod: Streams of Consciousness sketchwalk exhibit, and the opening of the night market, among others.